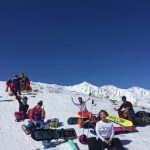 Having a blast in the winter wonderland of Hakuba! Thats a lot of white stuff. SHOLE” and about 37 pizzas that Junko (once again) kindly ordered for the Cru. Sunday started on a ‘sour’ note as Frank, who had promised to wake up at 0600 to link up the replay of the England vs Wales 6 Nations game, was nowhere to be found…. the Cru that were up were patiently awaiting, watching the game on their smartphones until half time when ‘the tall one’ finally appeared. 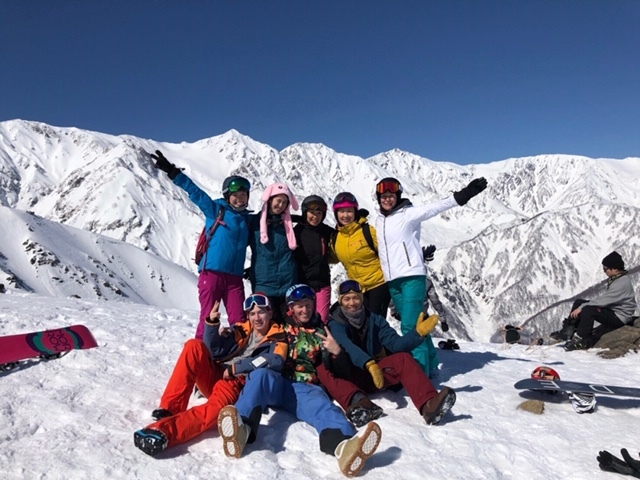 After enjoying another breakfast and packing our bags, the Cru decided to split between Tsugaike and Happo One to tackle a Blue Bird day, with much better snow conditions, in the beautiful Japanese Alps. 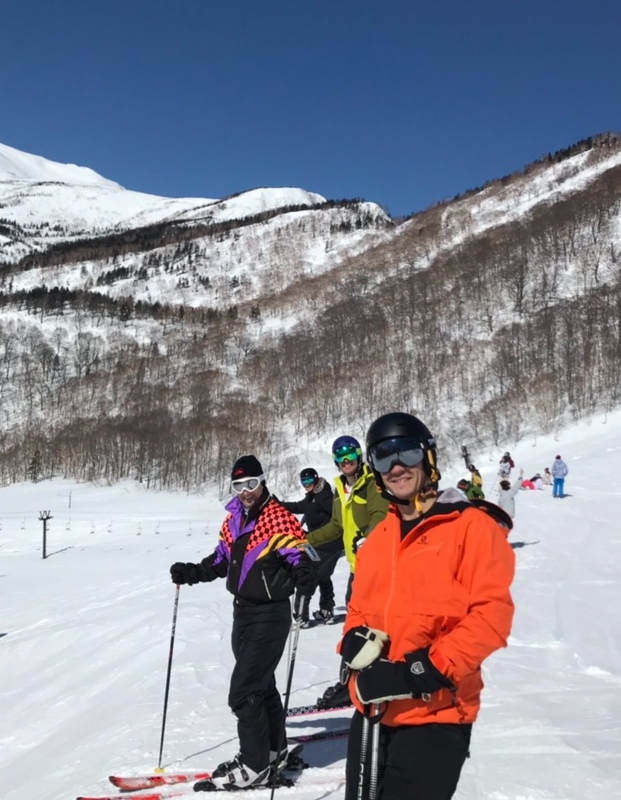 The Tsugaike Cru ripped groomers all day trying to see how fast they could get down the mountain and therefore how many runs they could get in, while the Happo One Cru enjoyed the groomers and some backcountry teamwork. 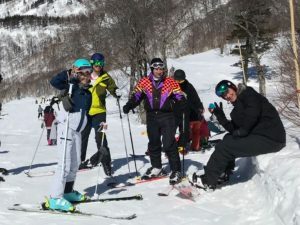 Of course, the top highlight of the trip was Tooley on two fronts… his ski outfit from 1989 and his unique dance moves to “Smack That”!… with an honourable mention of the Four And Twenty meat pies on sale in the cafe.